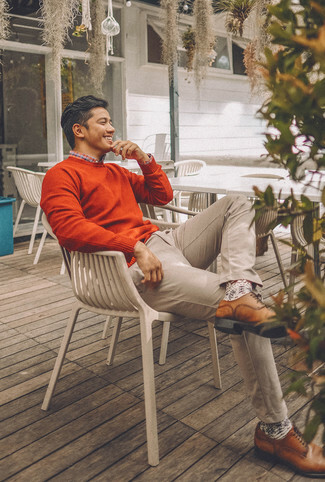 If you're on a mission for a casual yet stylish look, team an orange crew-neck sweater with beige chinos. Both garments are totally comfortable and will look great paired together. To Boot New York dwight plain toe derby will bring a classic aesthetic to the getup. Team a tan suit with a white dress shirt for a sharp, fashionable look. Mix things up by wearing To Boot New York dwight plain toe derby from Nordstrom. Contrary to what you might believe, looking seriously stylish doesn't require that much effort. 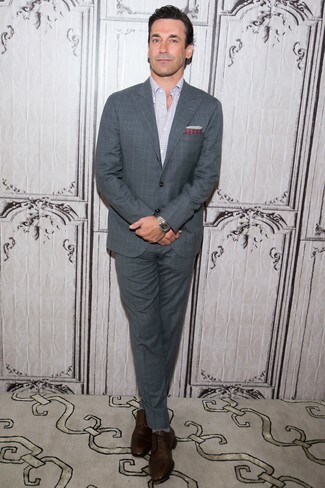 Just rock a grey check suit with a white check long sleeve shirt and you'll look amazing. To Boot New York dwight plain toe derby work amazingly well with this getup. So as you can see, being a dapper dude doesn't require that much effort. 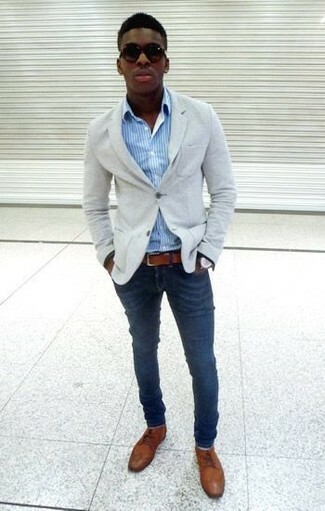 Just pair a navy double breasted blazer with blue jeans and you'll look awesome. When it comes to footwear, this getup pairs well with To Boot New York dwight plain toe derby. Try pairing a tan blazer with white dress pants for a classic and refined silhouette. Go for a pair of To Boot New York dwight plain toe derby for a more relaxed feel. Consider pairing a grey wool suit with a navy crew-neck sweater for incredibly stylish attire. Make your outfit more fun by complementing it with brown leather derby shoes. If you're looking for a casual yet dapper ensemble, marry a light blue horizontal striped short sleeve shirt with blue chinos. Both garments are totally comfortable and will look great paired together. Kick up the cool of your look by completing it with To Boot New York dwight plain toe derby. 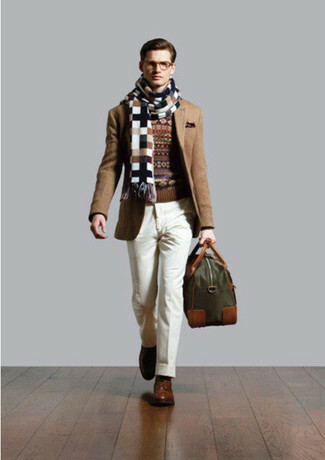 For a nothing less than incredibly stylish outfit, reach for a camel overcoat and blue dress pants. 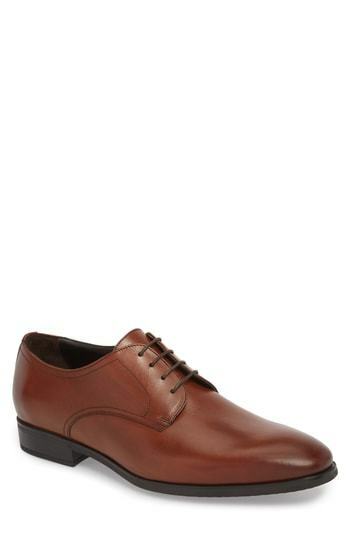 For something more on the daring side to finish off this getup, opt for a pair of brown leather derby shoes. If you're hunting for a casual yet sharp getup, rock a grey knit blazer with navy jeans. Both pieces are totally comfortable and will look great paired together. Channel your inner Ryan Gosling and make To Boot New York dwight plain toe derby your footwear choice to class up your getup.